The choir email list has changed. Click on the link below to join the list. Click here to join the choir email list. Download a copy of the general choir flyer shown above. Send it to your friends. Print it and display somewhere prominent in Newtown. Thanks! The choir is completely inclusive. 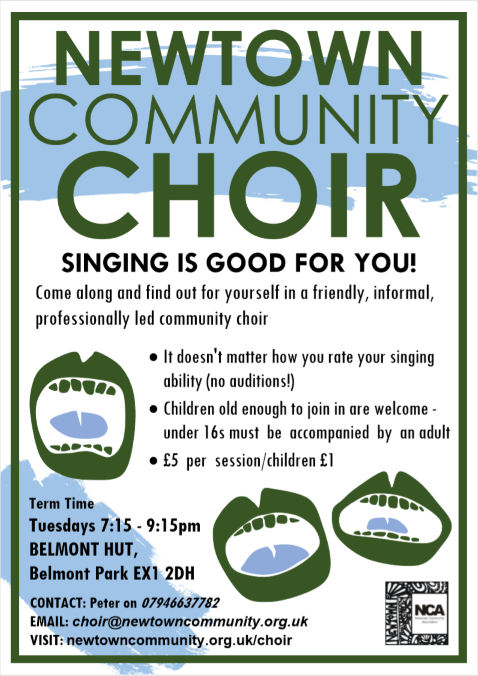 It really does not matter what your singing ability is, we want everyone who fancies a go to come along. It is great fun. Children old enough to participate are welcome. Under 16s must be accompanied by a parent or carer. The accompanying adult does not have to participate: they can wait in the other room if they don’t fancy joining in themselves! We meet at 7:15pm most term-time Tuesdays in the Hut in Belmont Park. We start again in 2018 on the 9th of January. The per session fee is currently £5 for adults and £1 for under 16s. We sometimes have difficulty covering our costs, so we hope that everyone who can will pay the fee. We aim however to be an inclusive community group and concessions can be made for those that need them. We do not charge a sub for your first session, so you can come and check us out for nothing. 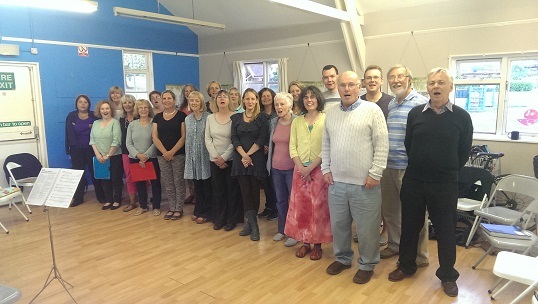 EMail choir@newtowncommunity.org.uk or contact Peter on 07946 637 782 if you have any questions. We perform publicly maybe 4 or 5 times a year. It isn’t compulsory to perform but obviously the more the merrier! St Matthews Carol Service, December 2017. Newtown Winter Warmer, December 2017. Newtown Community Association’s 30th birthday party in Belmont Park, July 2017. 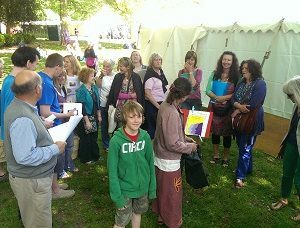 Polsloe Party in the Park, June 2017. Guested at “50 Articles” in May 2017. We’ve been invited to participate in two follow-up events. 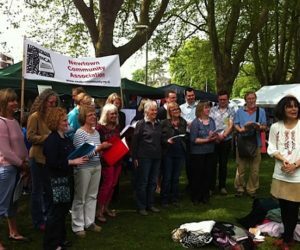 “50 Articles” was part 1 of Torre Abbey based Choral Engineers’ Brexit Trilogy. St Matthews Carol Service, December 2016. Newtown Winter Warmer, December 2016. 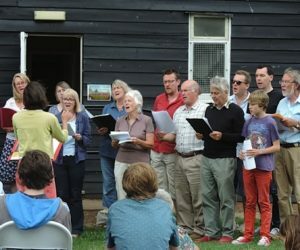 Polsloe Party in the Park, July 2016. St Matthews Carol Service, December 2015. A really lovely event.